Lovely Meg, talented Jo, frail Beth, spoiled Amy: these are hard lessons of poverty and of growing up in New England during the Civil War. Through their dreams, plays, pranks, letters, illnesses, and courtships, women of all ages have become a part of this remarkable family and have felt the deep sadness when Meg leaves the circle of sisters to be married at the end of Part I. Part II, chronicles Meg's joys and mishaps as a young wife and mother, Jo's struggle to become a writer, Beth's tragedy, and Amy's artistic pursuits and unexpected romance. 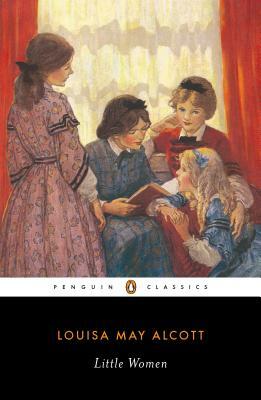 Based on Louisa May Alcott's childhood, this lively portrait of nineteenth- century family life possesses a lasting vitality that has endeared it to generations of readers. Elaine Showalter is the author of the groundbreaking A Literature of Their Own and editor of Little Women for Penguin Classics.